I was sick all weekend and so I mostly just sat in front of the console and played Red Dead when I wasn't sleeping. 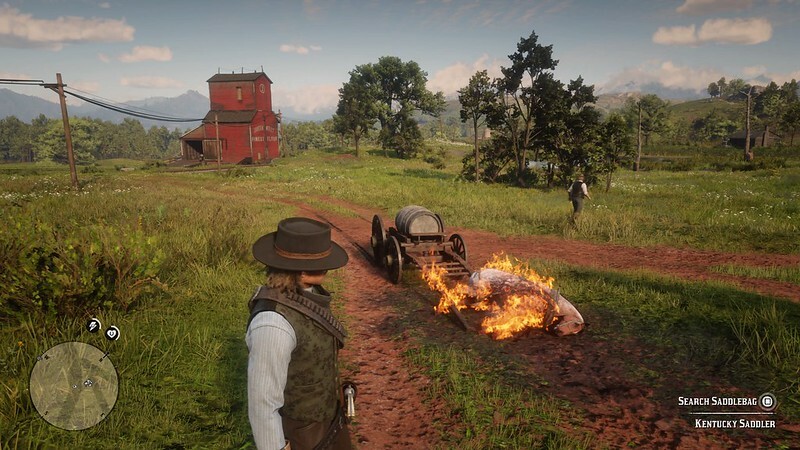 I ran into that area where the horses spontaneously combust! It was hilarious. Getting from A to B is part of the point; with so many things you can encounter along the way, traveling is supposed to be as big of a part of the game as the story missions. I've never spent a dime on fast traveling because I like the traveling. As far as money is concerned, some of the missions will just hand you piles of money. One of 'em resulted in me being handed a gold bar that fences for $300. Personally, I don't really see where buying in-game currency was really an idea for this game. This is a pretty valid point that more developers across the board should pay attention to: Just because you can doesn't mean you should. With that being said, I appreciate most of the details they've added to the game. I'm not a huge fan of the "cores" system...but I get what they're going for and it's not too difficult to maintain.